CERTIFIED! 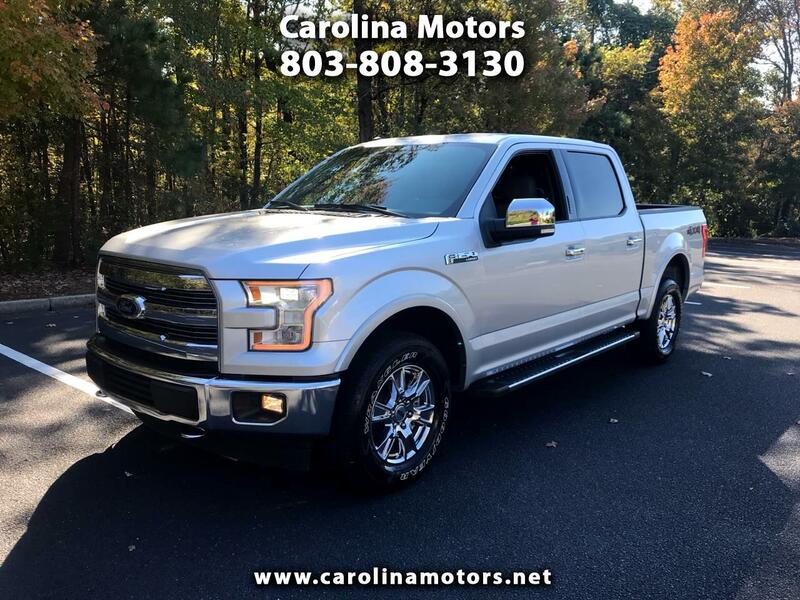 2017 Ford F150 Lariat 4 x 4 Super Crew, One owner, factory navigation, Apple CarPlay, chrome package, fixed running boards, chrome wheels, spray in bedliner, tow package, reverse camera, heated and cooled seats, heated steering wheel, power sliding rear window, power folding mirrors, 5.0 L V8, 7000 lbs. tow rating, 3:31 gear ratio, this truck has too much to list!. Come see free Carfax and more info at www.carolinamotors.net !